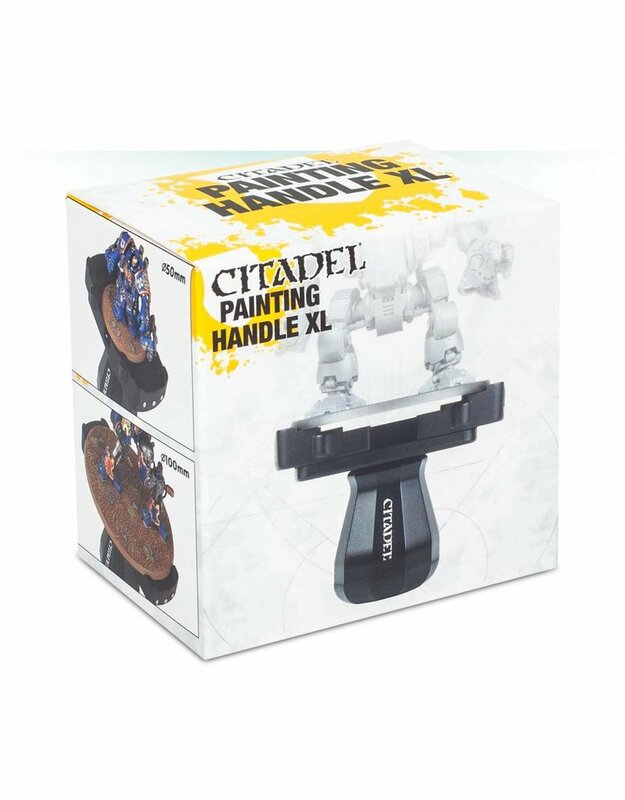 The XL edition painting handle is an entirely separate product that builds on it's predecessor's utility and convenience. Features a larger spring-grip, allowing it to accept both circular and oval base sizes 50mm-100mm. Perfect for most walkers and monsters!